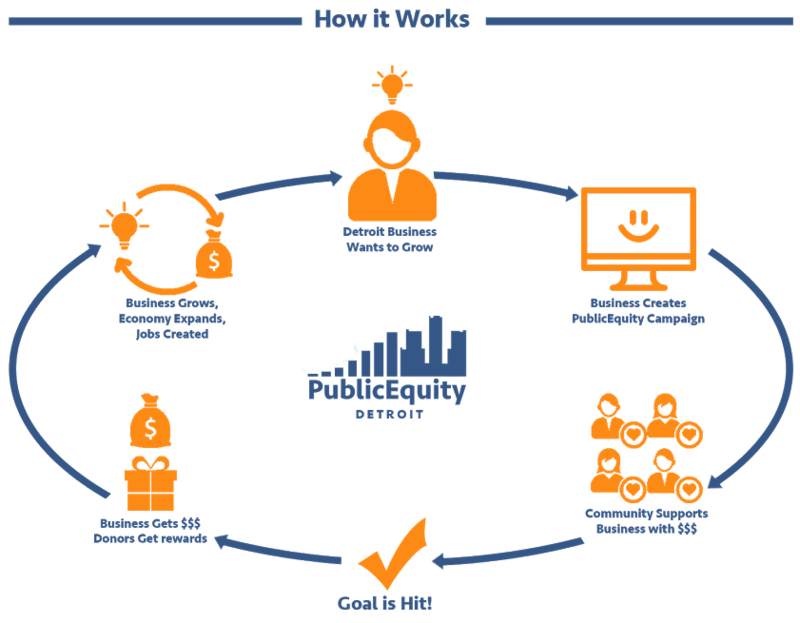 PublicEquity's mission is to stimulate Detroit's economy through the collective action of its people. Our vision for the future of Detroit is rooted in the city's unique blend of hustle, pride, and ingenuity. We know that southeast Michigan contains all the necessary ingredients to support a beautiful and thriving Detroit. PublicEquity is the platform that brings all those ingredients together.